As the far-right is constantly shifting and redefining itself, both in the U.S. and in Europe, it can be hard to pin down the enemy so as to create a successful counter force. 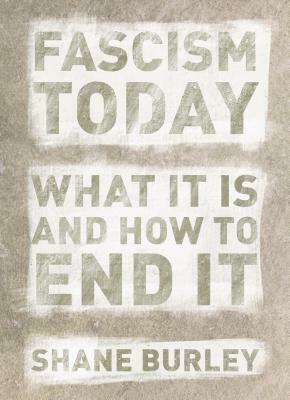 Antifascism today requires a deep understanding of the underlying principles and behaviors of the fascist right, as well as to understand how social movements can and should operate in the 21st Century. Below is a conversation between Shane Burley (Fascism Today: What It Is and How to End It) and Alexander Reid Ross (Against the Fascist Creep) about what makes up the fascist movement today, how it is changing, and how antifascism can be strengthened. A particular amount of time here has been dedicated to the idea of “decolonizing antifascism” and how antifascist can think about fascism as a truly international force that is not only cemented to Europe and the U.S. In Portland, on the afternoon of August 18th, activists, radicals, and community members united to march in solidarity with Charlottesville. More than a thousand gathered to mourn the loss of anti-fascist activist, Heather Heyer, and the losses of our own local heroes at the hands of white supremacy. Portland has had increasingly violent demonstrations organized by Patriot Prayer, a local organization that works with and supports alt-right and white supremacist groups and individuals. These demonstrations were, to many, a warning sign of what took place in Charlottesville, where violent racists gathered to attack those who opposed them, leading to the terrorist attack that killed Heather Heyer and left 19 other anti-racist activists injured. Portland is bracing itself once again for a forthcoming rally from Patriot Prayer on September 10th that is planning to unite racists and other bigots under the guise of a “Freedom March”. White nationalist street preacher, Allen Pucket, who called for “bloodshed” at future events, and has been captured in photographs and videos assaulting people at similar rallies, is expected to be there along with other groups Patriot Prayer has marched with, like the neo-nazi founded Identity Evropa and National Socialist Movement. Local anti-racist and anti-fascist groups Rose City Antifa, Portland Stands United Against Hate (A coalition of 70+ Portland area organizations), and Queer Liberation Front are either planning to disrupt Patriot Prayer’s event or host a larger counter-protest to show that white supremacy and fascism aren’t welcome in Portland. Patriot Prayer is returning to Portland with its far-right and Alt Right supporters, and will be attempting to hold space on September 10th. Rose City Antifa has organized a response with huge community and coalition support, so come out to stand against the racists.